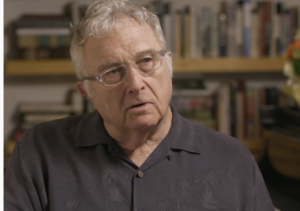 This entry was posted in and tagged Academy Oral History, Film Music Foundation, Randy Newman, Randy Newman film music on August 20, 2018 by Jon Burlingame. 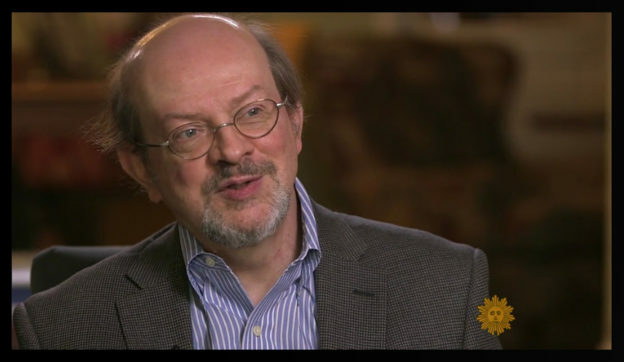 For Oscar Sunday, the CBS newsmagazine Sunday Morning decided to profile the famous Newman family of film composers. They interviewed composers Randy, David, Thomas, Maria and Joey, representing the second and third generations of Newman composers in Hollywood; and discussed Alfred and Lionel, from the first generation, along with visiting their old haunts on the 20th Century-Fox lot. I was delighted to help provide some historical context for the piece, which you can find — at least for the next few days — here. This entry was posted in and tagged CBS Sunday Morning, David Newman, Joey Newman, Maria Newman, musical Newmans, Newman family, Randy Newman, Sunday Morning, Thomas Newman on March 4, 2018 by Jon Burlingame. It’s always a pleasure to interview composer Randy Newman, and even more fun to attend a recording session for one of his movie scores. 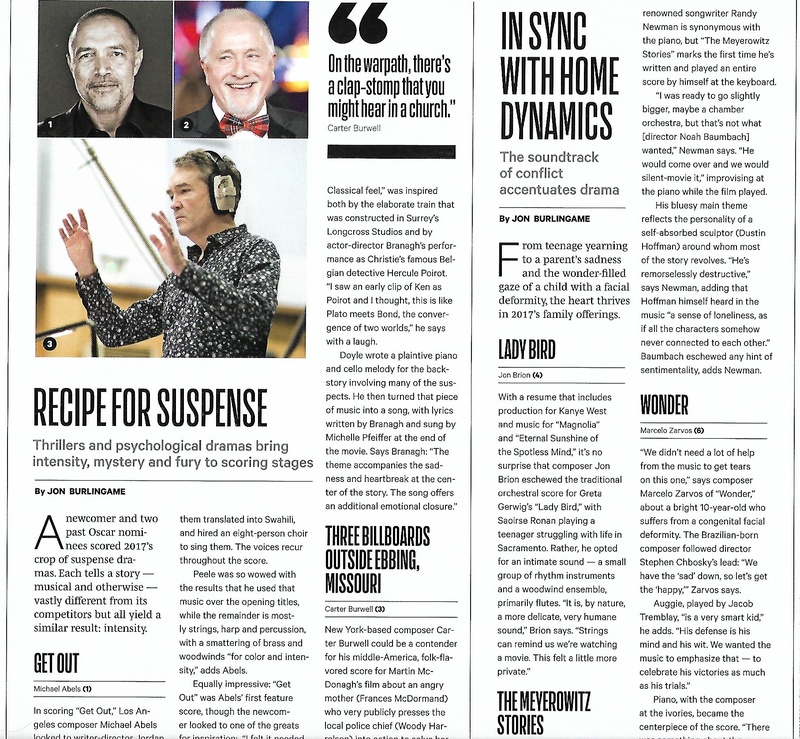 Newman loves the orchestra — and they love him, as you’ll read in a story for this week’s Variety — and for Cars 3, he used no fewer than 107 musicians. That’s more than most Star Wars movies. At 73, Newman is still at the top of his game, crafting a fine, expressive, even classically styled score for the latest Pixar film (his eighth; he’s won two Oscars and been nominated six more times for his songs and scores for such previous hits as Toy Story 1, 2 and 3, A Bug’s Life and Monsters Inc.) Pixar czar John Lasseter even showed up while we were at the session, and he raves about Newman yet again. 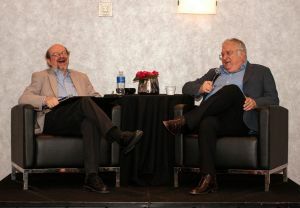 This entry was posted in Composers, Film Music, Interviews and tagged Cars 3, John Lasseter, Pixar, Randy Newman, Toy Story, Variety on June 13, 2017 by Jon Burlingame. 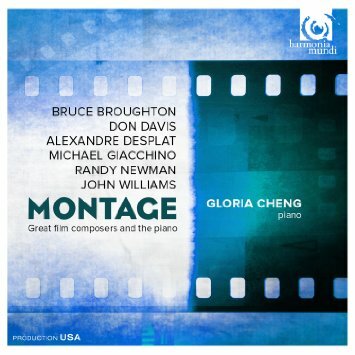 The subtitle of this wonderful new album by the brilliant concert pianist Gloria Cheng is “Great film composers and the piano.” A few years ago she was presented with a five-movement suite by Bruce Broughton; a four-movement piece by John Williams followed. Cheng then commissioned three more pieces (by Don Davis, Randy Newman and Michael Giacchino) and added a recent work by Alexandre Desplat. It’s a wide-ranging album in terms of mood, texture, color and complexity; I’ve played it several times and continue to find new facets and subtleties. Most of the liner notes are by the composers themselves, but I penned the introduction. Here is a piece that goes into more detail about it. This entry was posted in Composers, Film Music and tagged Bruce Broughton, Gloria Cheng, Great Film Composers and the Piano, Harmonia Mundi, John Williams, Montage, Randy Newman on February 10, 2015 by Jon Burlingame. 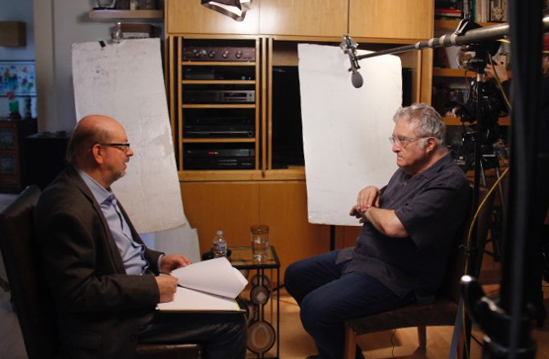 This entry was posted in and tagged Randy Newman, Recording Musicians Association, RMA Live on October 27, 2013 by Jon Burlingame. 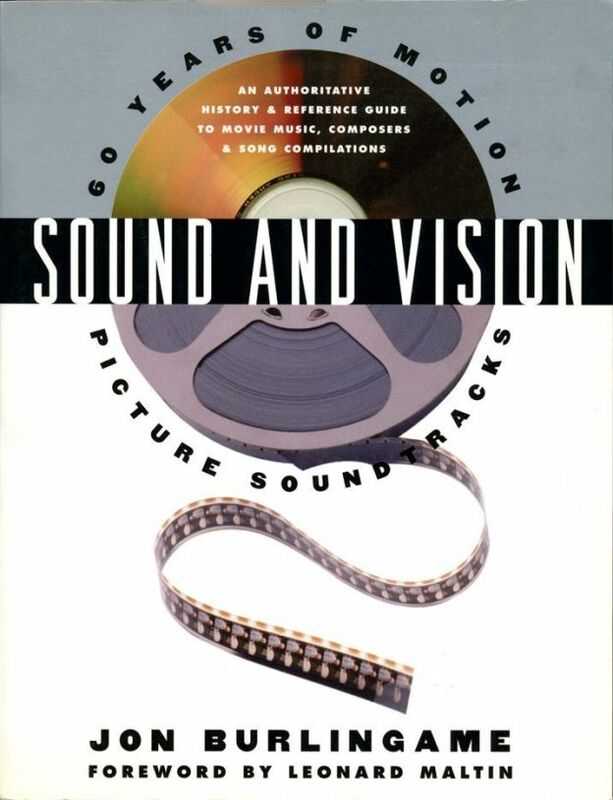 An unparalleled reference source and much, much more, Sound and Vision offers a detailed history of movie music on record and compact disc; up-to-date biographical sketches of composers throughout movie history; and annotated listings of the best-selling, award-winning or otherwise noteworthy soundtracks of the past and present — original film scores as well as movie musicals and song-compilation scores. It even provides a comprehensive index so that can instantly know if the music you’re looking for is commercially available. “A fun and informative look at scores on disc… a perceptive and reasonable examination of trends and trendsetters, with a clear-headed business consciousness that should give readers a renewed understanding of the politics of the recording industry.” — Randall Larson, Soundtrack! This entry was posted in Composers, Film Music, Homepage and tagged composer biographies, Elmer Bernstein, film music reference, Leonard Maltin, movie soundtracks, Randy Newman, Sound and Vision, soundtrack albums on May 5, 2000 by Dan Goldwasser. 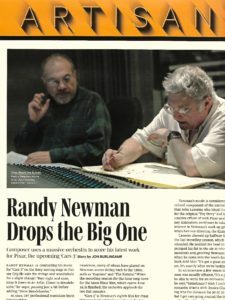 When Randy Newman was replaced by Jerry Goldsmith as the composer of the Harrison Ford thriller Air Force One, the Los Angeles Times asked me to write about it. It was news, of course, and I did interview both Goldsmith and director Wolfgang Petersen. But I tried to frame this unfortunate situation in a larger historical context by talking about the history of “rejected scores” including all the classics, from 2001 to Torn Curtain and The Battle of Britain. I also talked with Elmer Bernstein, no stranger to the phenomenon, and director Roland Joffe, who had tossed a couple of his own. This entry was posted in Composers, Film Music, From the Files and tagged 2001, Air Force One, Battle of Britain, Elmer Bernstein, Jerry Goldsmith, Los Angeles Times, Randy Newman, Rejected scores, Roland Joffe, Torn Curtain, Wolfgang Petersen on July 15, 1997 by Jon Burlingame.